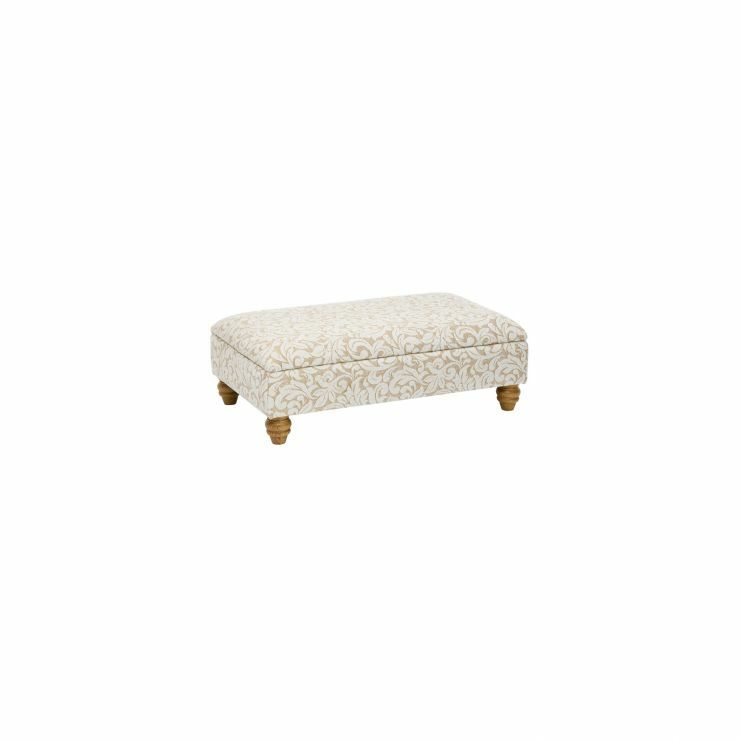 Complete your new Lanesborough living room with this fantastic storage footstool. Upholstered in a soft fabric, it features a cosy padded top, and striking solid oak feet, for a look that coordinates perfectly with the other pieces in the range. It boasts a hidden storage compartment with an easy-to-use opening mechanism, giving you the perfect place to tidy living room clutter away. 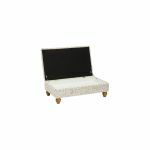 Perfect for storing out-of-season throws, hiding children's toys out of sight, or even storing the remote control off the coffee table, our footstool is great for creating a stylish living room. Don't forget, as with all of our products, you can get your new Lanesborough storage footstool delivered free to the room of your choice as standard!